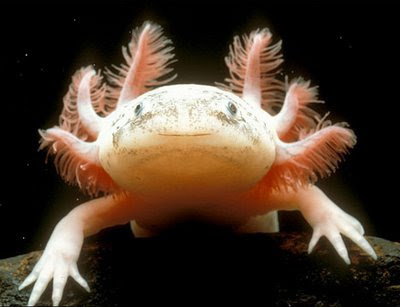 Here is one of the cutest fish to be listed on the endangered species list, the Mexican Axolotl a type of salamander. As can be expected, one of the primary reasons for the decline has to do with habitat destruction and pollution, all thanks to us humans, overrunning the planet like locusts. Think about this little next time you decide to breed, buy something, throw something away, or start your car.